As avid rock climbers, we have people whom we look up to and emulate—world-renowned climbers like Alex Honnold, Chris Sharma, Adam Ondra, Sasha DiGuilian, and more. Now, how would you feel if you knew these people will be actually visiting your place? Better yet, how would you feel if you knew that their primary purpose of their visit is to improve the rock climbing scene in your place? Needless to say, you will definitely be more than stoked! 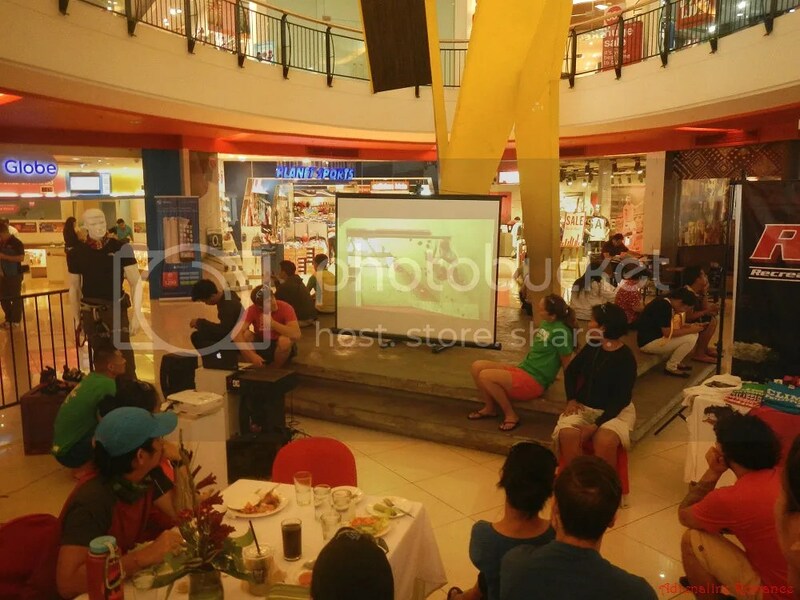 That once-in-a-lifetime moment happened to everyone in the Cebu rock climbing community this February. 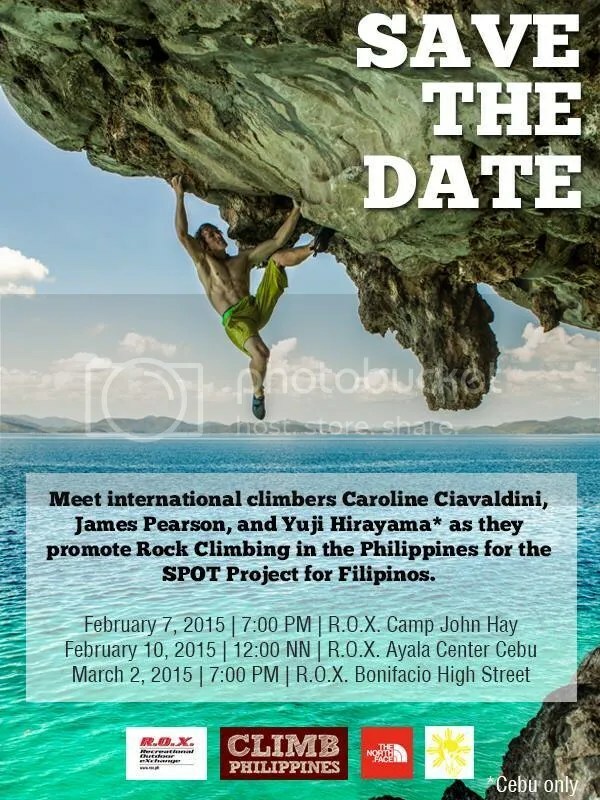 It was definitely a whooping moment for us when ROX Philippines and The North Face Philippines sent us an email invitation to join a meet-and-greet session with international climbers James Pearson, Yuji Hirayama, and Caroline Ciavaldini on February 10, 2015. 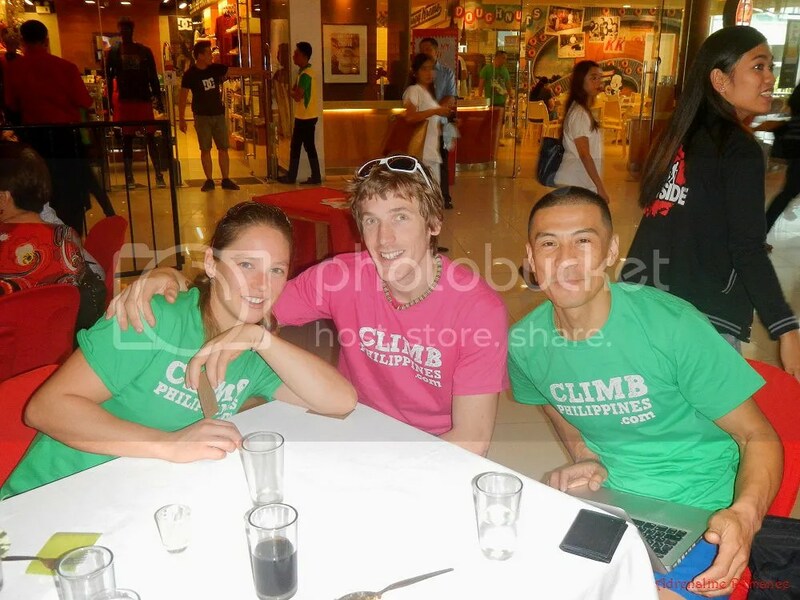 It was a rare privilege to meet three world-class climbers in one setting. 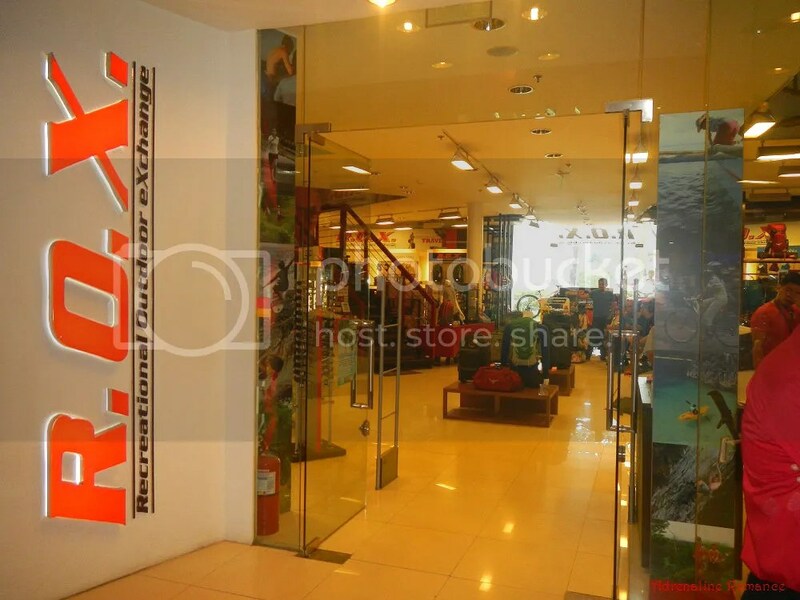 Recreational Outdoor Exchange, or ROX Philippines, is the largest outdoor superstore in Southeast Asia, a must-visit shopping destination for all outdoor enthusiasts. The store carries all sorts of apparel and equipment—tents, kayaks, jackets, bicycles, and more! 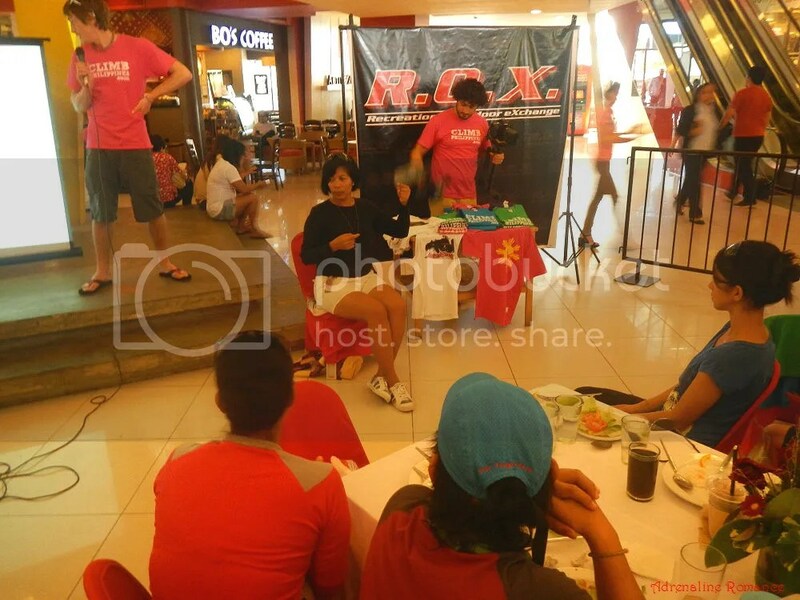 ROX Philippines have several branches in the Philippines, and one of them is their two-floor branch in Ayala Center Cebu’s ActiveZone. 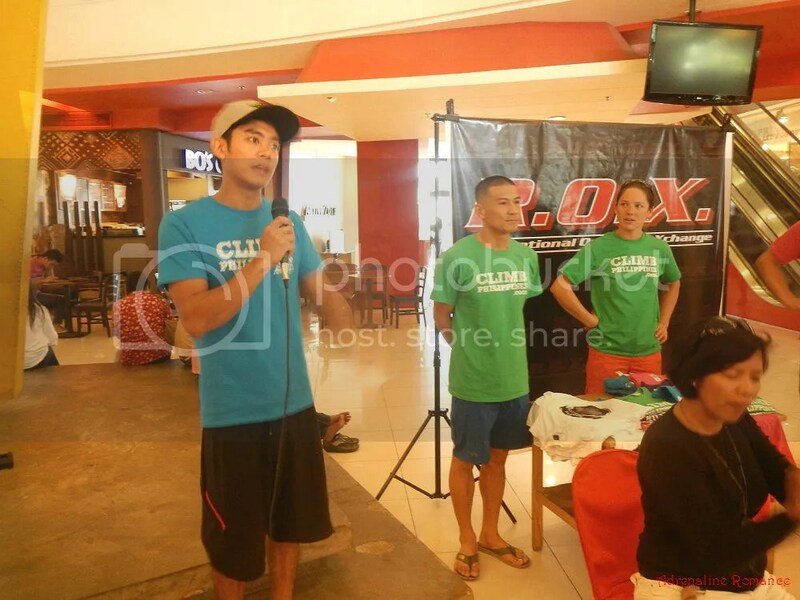 When we got to the venue, members of Climb Philippines and the Cebu Rock Climbing Community were already there along with the featured guests, ROX Philippines and TNF representatives, and media people. 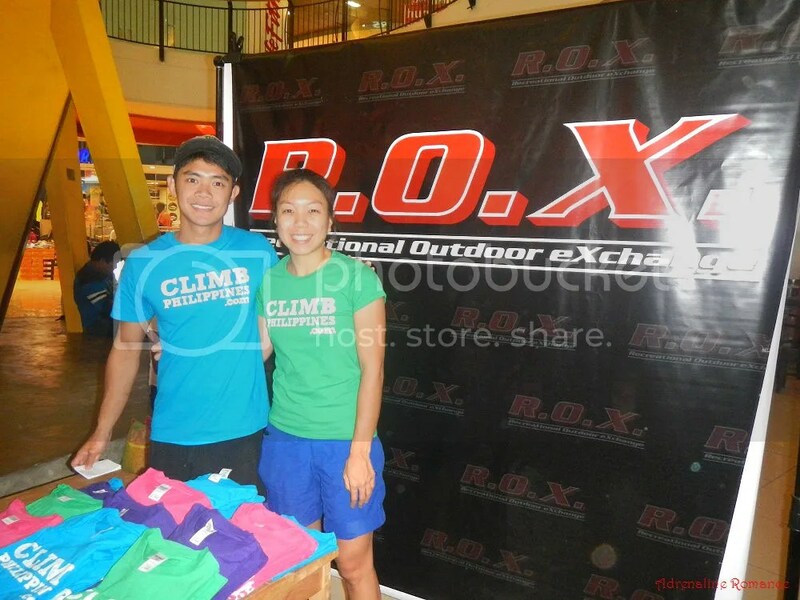 Philippine sport climbing champion Miel Pahati and his awesome partner Ina were there. 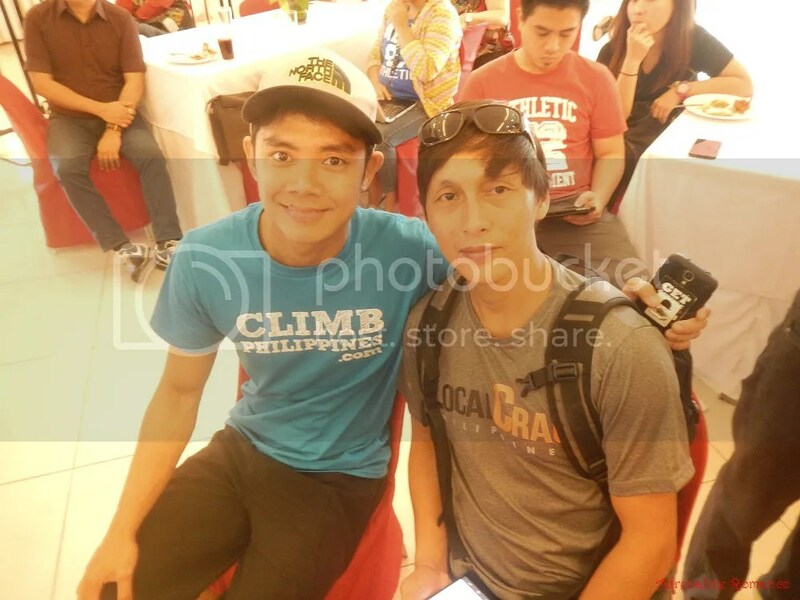 They are also the webmasters of Climb Philippines, a sport climbing website which details climbing and bouldering areas around the country. We were definitely honored to meet these multi-awarded athletes. That is Meil with Mackie Mackinano. 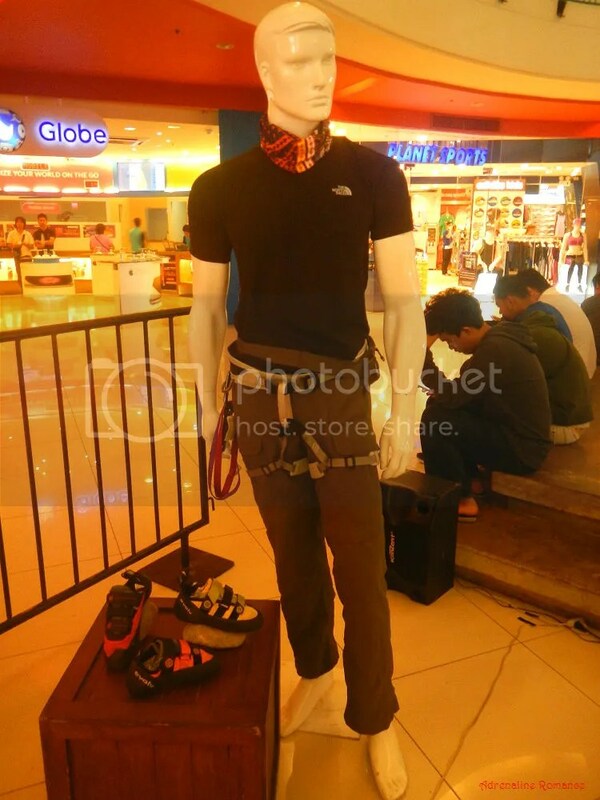 Mackie is instrumental in the Philippine rock climbing scene; he bolted most of the sport climbing routes in the Philippines, helped establish climbing gyms, coached climbers and instructors, and more. 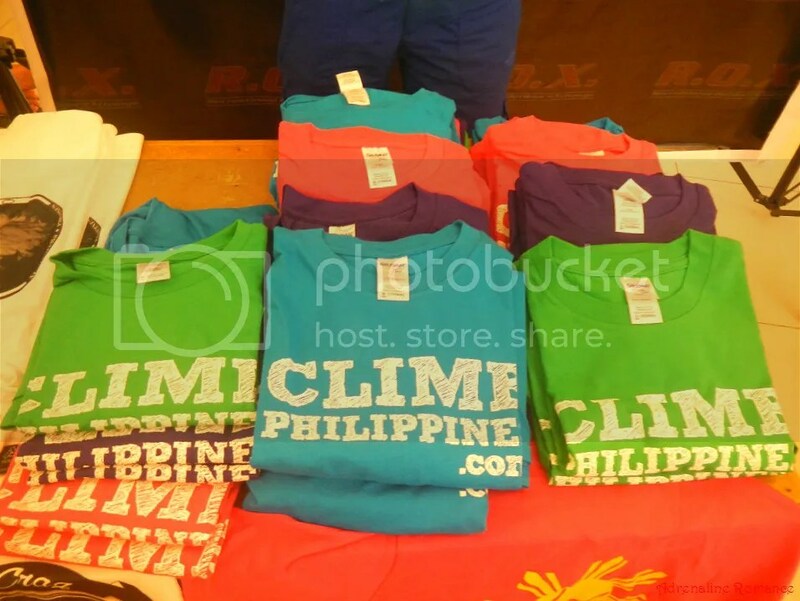 You help develop the country’s climbing scene for each Climb Philippines shirt you purchase. The proceeds will be used to buy bolts, hangers, chains, and other equipment to establish sport climbing routes in various crags all over the country. 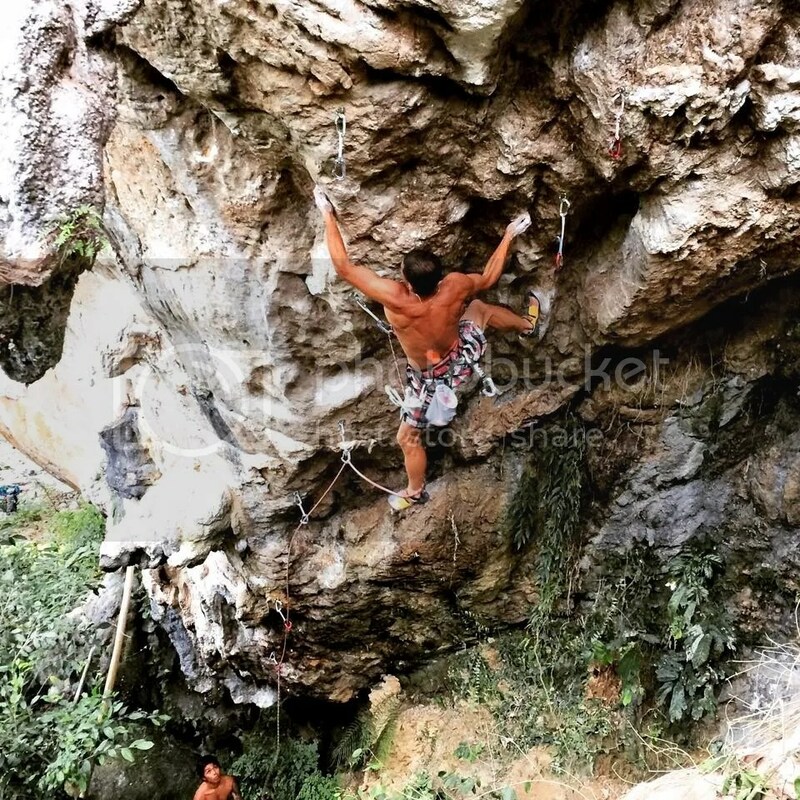 Good-quality climbing shoes and a harness comprise the basic equipment that a person must have if he or she wishes to venture out into the exciting, adrenaline-pumping sport of rock climbing. Then we had the chance to meet these awesome international climbers whom we saw—until now—only in climbing videos and publications. These athletes are sponsored by The North Face and are the owners of the website Once Upon a Climb. The triad is also the backbone of SPOT Project, a team whose mission is to find the best crags in the world and develop them both for sport and traditional climbing. From left, that’s Caroline Ciavaldini, a world-class French climber who has won numerous international climbing and bouldering competitions. Next is James Pearson, renowned for being able to ascend the toughest climbing routes in the world. Last but not the least is Yuji Hirayama, a legendary Japanese rock climber who specializes in lead climbing competitions. He has won two Lead World Cups and has broken speed records on climbing the ultra-high routes of El Capitan in Yosemite. 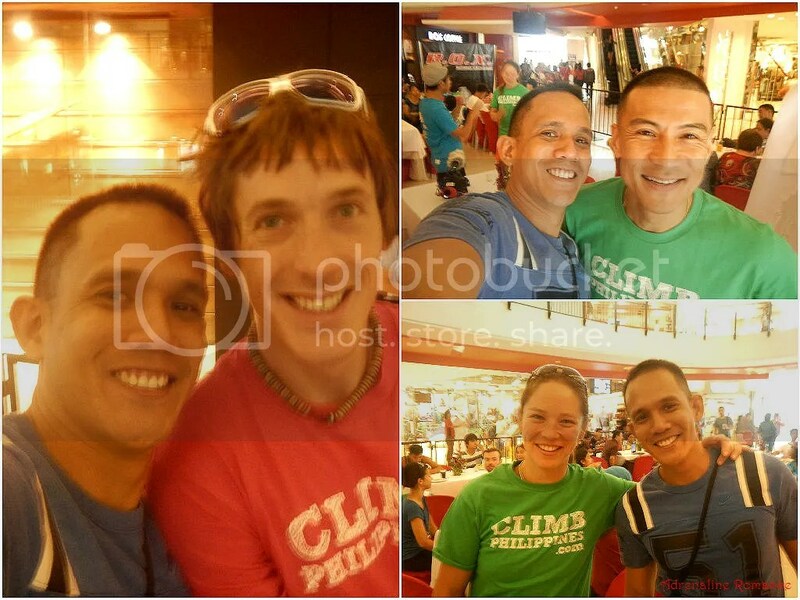 Meeting and chatting with this team was a captivating moment for every Filipino climber present in the area. 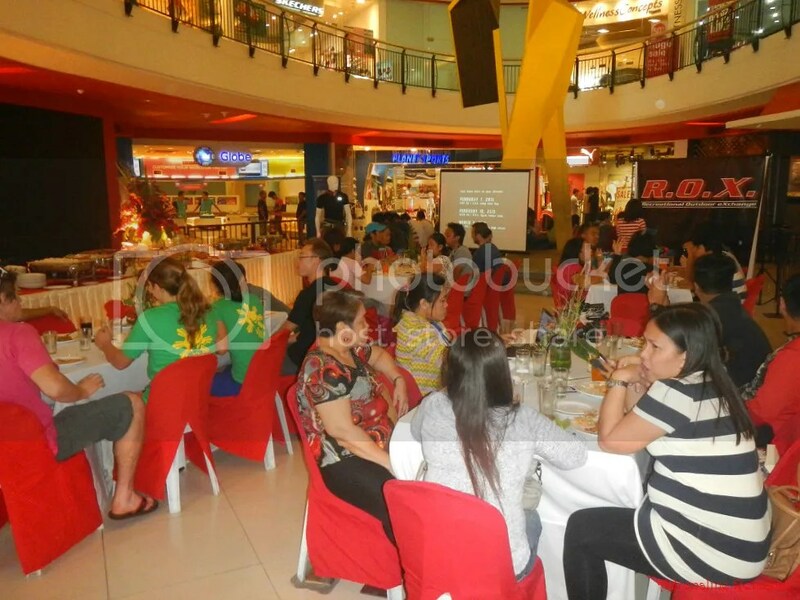 After everyone had taken their lunch, Meil opened the event and introduced the special guests. 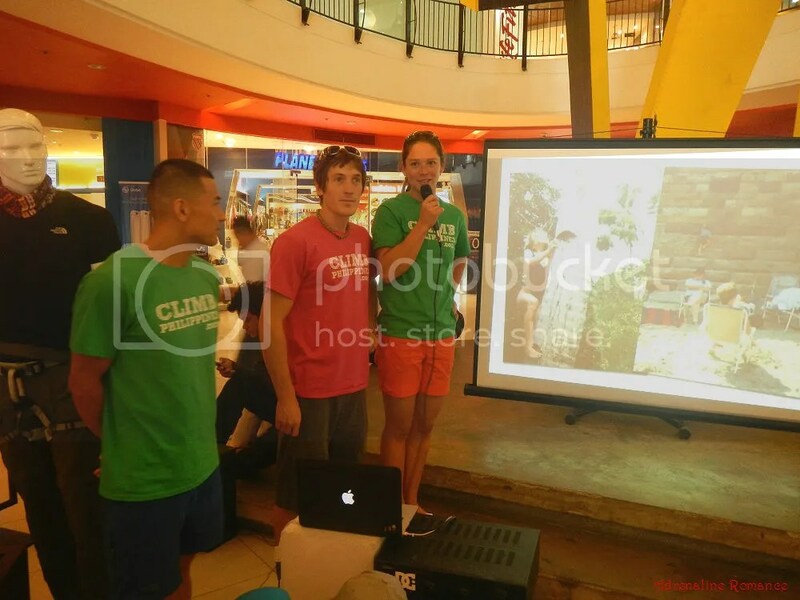 It was such an exhilarating experience listening to Yuji, James, and Caroline share their climbing experiences. But what struck us most was their humility. Yes, they know that they are known all over the world and they are among the best. But they never let their achievements get into their heads. They were very friendly, funny, and down-to-earth. 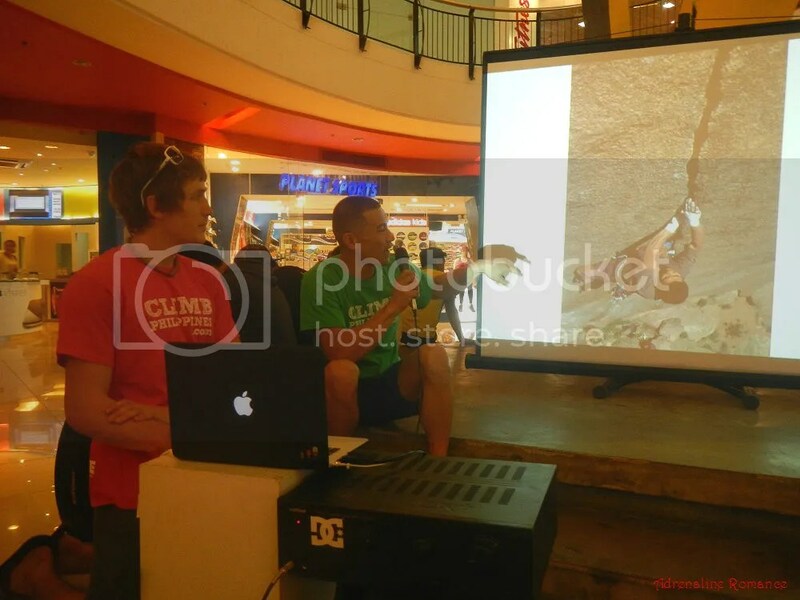 The TNF climbers shared interesting videos and stories of their experiences all over the world, including the Philippines. They gave us a great insight of the international climbing scene, plenty of useful pointers, and truly inspirational words to take us, climbers, to a whole new level. They even gave us a glimpse of their personal lives, much to the amusement of everybody when we realized that they are not gods but just simple people like us. Sensei Yuji shares his triumphs and achievements as well as his personal life outside climbing. This group sitting around the table is truly inspirational. You know why? They are actually deaf, but their disability doesn’t stop them from engaging in the sport of rock climbing. 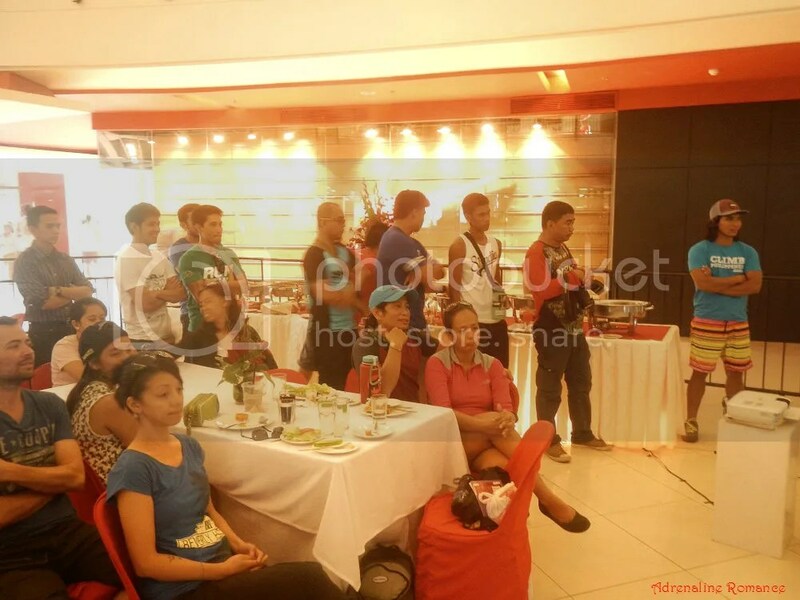 Vice President of the Cebu Gualandi Association of the Deaf Janice Aparri used sign language to help her team understand the SPOT Climbers’ speeches. 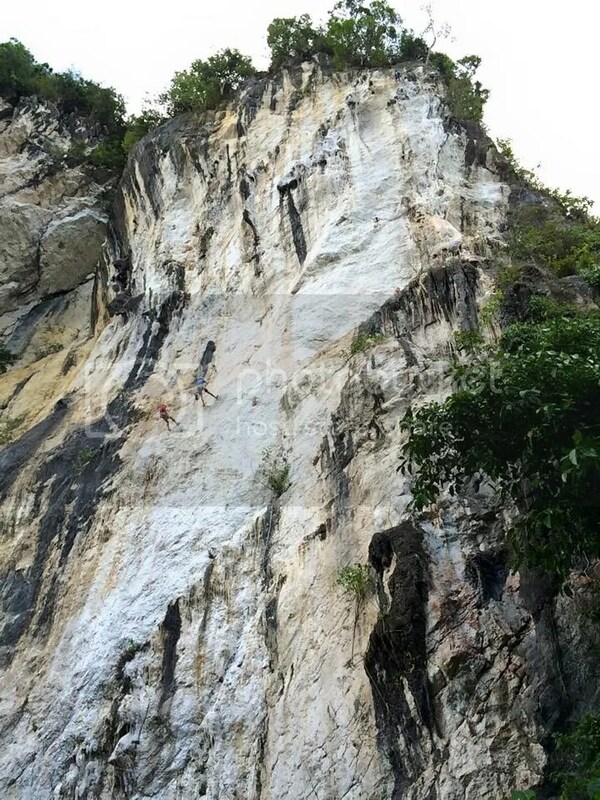 The next few days, James, Yuji, and Caroline went with local climbers to try out the crag in Cantabaco. But the group’s main objective is to bolt and develop this monster crag that was recently discovered in Barangay Tagba-o in the hinterlands of Cebu. The team started bolting several routes on the rock, graded 5.11a to the country’s first 5.14d. 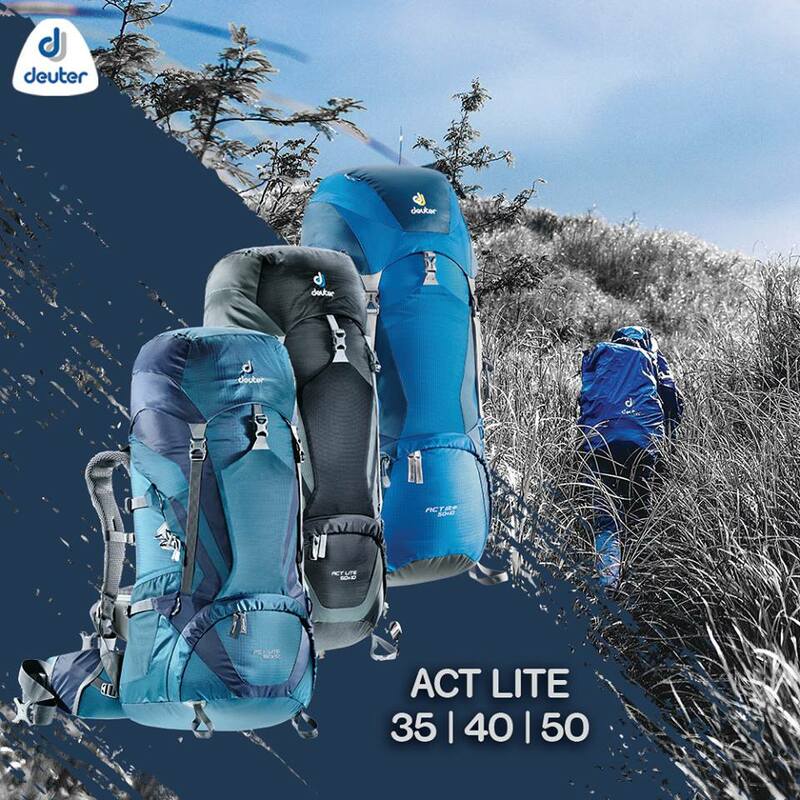 In other words, this crag is perfect for those who truly want to push their limits. As far as we know, the team has bolted more than 11 routes in the crag, and more routes are being planned out. The photo below shows just how high the crag, now dubbed Monsterella, is. When they got there, the group encountered poisonous snakes! Sensei Yuji and other climbers made some of the first ascents of the bolted routes. I was definitely lucky to have selfies with James, Yuji, and Caroline. They are now my inspiration to climb better and harder. Overall, Yuji’s, James’, and Caroline’s visit was a significant and momentous event in the country’s rock climbing history. Not only were they able to help establish a crag right here in our own beloved home island, but they also gave us a vision of what we, as rock climbers, can achieve. And we firmly believe that we, in turn, have imparted in them a realization—that they share a kinship with friendly and motivated climbers in this side of the world. Wow! I’m not a climber but even I can feel how exciting (and cool!) this must have been. Monsterella looks crazy awesome. Oh yeah! In the rock climbing scene, these guys are celebrities. Seeing them in person and interacting with them was such an awesome experience. Monsterella definitely looks awesome, but we don’t think we could climb it for now. The grades are above our level of climbing. Hehehe! Thank you very much, Sir Jing! Wow, this is amazing! I’m into adventures but haven’t tried rock climbing as I don’t think I have the time for it now but I’ve always been interested! I feel that I’m a little clumsy though. LOL. So awesome about the deaf community, truly if you want to achieve something, nothing can/should hinder you. It’s an amazing community you have! It really is, considering that we, climbers, met face-to-face with some of the North Face legends that we only encountered in publications. It’s great that you tried indoor wall climbing. Climbing indoor walls is good for practice and strength building. But for us, nothing beats the thrill and the adrenaline rush of climbing real rock. We have several rock climbing posts and 101s in this blog. Click on the ROCK CLIMBING tab above to see an ever-growing list of rock climbing articles. I’ve never climbed anything before, not even a wall. It seems you guys are having fun though. Really? You should try climbing. It’s really fun! Thank you! Rock climbing is indeed a great sport that tests your limits and allows you to realize that you can go beyond what you think you can do! No need to improve on upper body strength although it does help. Rock climbing is more on leg strength and balance. Thank you for visiting our blog. If you have the chance, you should go with us; we usually climb Cantabaco or Poog every weekend if we don’t have a scheduled trek, trip, dive, or any other engagement. Rock climbing is definitely addicting! Sure, why not? Give us a PM in our FB page or a message in our Contact Us form so we can arrange for a rock climbing session. 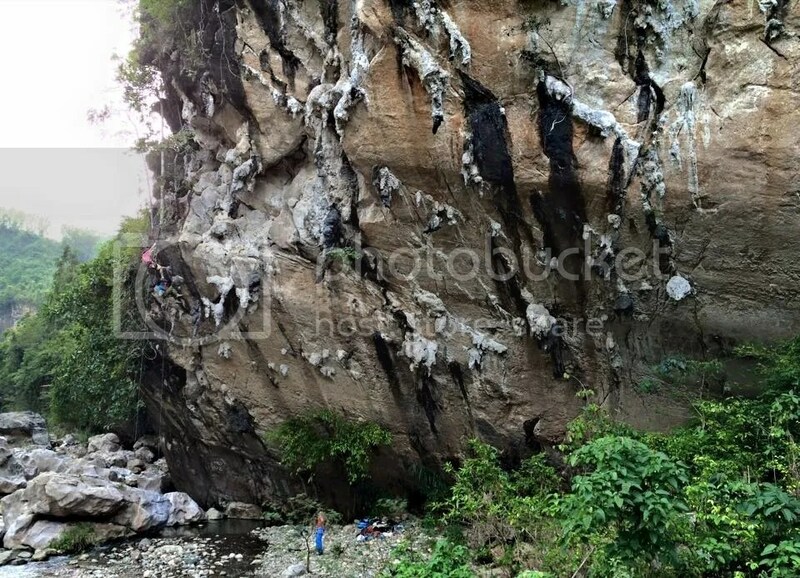 Actually, we go rock climbing every weekend in Cantabaco or Poog. The routes in Monsterella is still quite beyond our climbing ability for now. Oh, those guys are amazing…..and humble too.